SOPs, love ‘em or what? SOPs are actually great, because they allow someone to walk through a process they’ve never seen before without making any mistakes. But when you think of all the SOPs you’ve ever written, how many are used on the regular? And how many just sit there, collecting virtual dust? Using checklists can resolve some of the pain associated with SOPs. Think about it. SOPs take forever to write, and in most companies they aren’t really ever looked at except by the brand new hires. Checklists, by contrast, are easy to write. What’s more, they’re used by everybody because they don’t go into all the pedantic detail about each single part of the process. 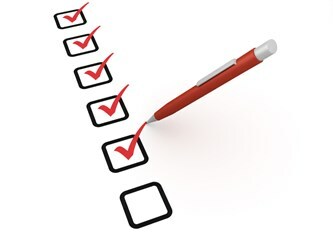 A checklist assumes that, by and large, the person reading it already knows how to perform the steps. One of the most powerful aspects of checklists is their ability to automate task management. If you think back to the different forms of waste, as described in lean philosophy, the checklist addresses errors of omission. A checklist won’t help someone perform a given step better, but it will make sure that the step is performed. So Checklists serve as complements to SOPs in that regard. The value of a checklist therefore lies in eliminating waste by ensuring every single task in every process is performed, without omission. This means that the power of the checklist is amplified with checklists for your high volume tasks, especially the more complex high volume tasks, where the work might be carried out over the course of hours or days, and might involve a number of different people.